Entries tagged with “John Cage”. Having let go of my obsessive following of music I still found myself with more than enough great music to listen to this year. Being able to judiciously select what discs (or increasingly preferable, digital files) to buy I found that I liked almost all that I bought. Curiosity and what seems to be a decrease in criticism (R.I.P. Paris Transatlantic, Dusted (though semi-revived) &c) and perhaps the move to more gated preserves from the commentariat did lead to my purchasing a few duds, but I’m sure I missed more good stuff than bought bad. Having lost touch with those dusty corners of the nets where all music finds itself eventually (or even before it hits the virtual shelves) I can only express endless gratitude to Alastair Wilson’s excellent radio programme Admirable Restraint for providing lengthy tastes of music new and old. Alastair has put out a fine collection of new pieces from artists old and new for a good cause for which I can only recommend you dig deep: by gum it’s a compilation. The loss of my record player last year and the refusal to acquire a tape deck (I was buying music during the heyday of cassette and we pretty much despised it then as every playback degraded the tape) has led to a few things missed so let me just add a word of praise for those labels who put their boutique format releases up for digital downloads as well. I think I’ve listened to more solo piano this year than anything everything from Beethoven to Feldman to Jurg Frey to Cage &c &c. I’m happy to report it was a great year for the kind piano musics I like. You’ll see plenty of it represented in the selections below. Finally a hearty thanks to all the musicians, producers, labels, writers and listeners out there (also to all those who compiled their year-end lists early: got a lot of great stuff in just the last few weeks). There is plenty of great vital music being made and if I only listed here what touched me the most deeply out of the small fraction I heard it doesn’t really mean all that much. When this set was announced there was no doubt in my mind that this would be the release of the year, if not the decade. New World Records epic Music for Merce box set contains excerpts of the bulk of the pieces contained in this set and serves in a way as a sampler and impetus for this set. Throughout my lengthy five part review of Music for Merce I was continuously thrilled to hear these pieces but just as constantly lamented their excerpted nature. More than once I urged New World to release a box set of Tudor’s uncut performances. I doubt that I had any influence on this subsequent release but I can’t say how pleased I am it came about. New World really did yeoman’s work on this set with seven discs spanning the entirety of Tudor’s career from his electro-acoustic interpretation of Cage’s Variations II to Neural Network Plus with it’s complex combination of computer and live electronics. This set deserves an equally lengthy discussion as Music for Merce but really delving into Tudor’s music demands an amount of research and work that basically hasn’t been undertaken. In my Music for Merce reviews I discuss each of the pieces that were excerpted, all of which are included on this set. Since I don’t do a minute by minute discussion of them they serve quite well regarding these pieces. Of course there are a few things on this set not included there: Tudor’s first major piece Bandonean !, two versions of Rainforest IV, another performance of Variations II that is a welcome edition to the other two available, the epic Cage/Tudor overlaid pieces Mesostics re: Merce Cunningham/Untitled and most notably the Anima Pepsi pieces from the 1970 Osaka World Fair. My preview post of this set upon it’s initial announcement discusses the significance of all of these pieces. Regarding the material shared between the two sets you can find my write up on the these pieces in the following links: Virtual Focus, Neural Network Plus, Phonemes Weatherings, Webwork and Christian Wolff’s For 1, 2 or 3 People. In trying to analyze Tudor’s live electronic work James Pritchett found himself constructing his own circuits and began to work out how the music works from the ground up (I think this is from this interview: RWM SON[i]A #166). This is the equivalent of doing score analysis for conventionally notated pieces (though a far greater undertaking) and I think a necessary first step in understanding his process and methodology. From there a theory could be worked out (something like my (incomplete) Network Instrument Theory which starts from my electronic music making and builds up). Pritchett eventually gave up on this task which is a shame as it appears no-one else has undertaken it. A book covering the entirety of Tudor’s compositions, similar to Pritchett’s Music of John Cage is I think a needed resource. But for now the music itself will have to serve and this set, while alas still only a portion of Tudor’s work (though the major pieces I think it’s fair to say) does so admirably. As a reader of Kyle Gann’s always informative and frequently amusing blog, Post Classic, I have been able to follow along with the rediscovery of Dennis Johnson’s November. Remembering November which Gann posted in later 2007 was the beginning of this odyssey and there are quite a few posts documenting his transcription of the piece from a hissy tape and a few notes, to the locating of Dennis Johnson himself (who had “given up on the 21st century in 2007” and thus disappeared from internet communication), to posting an mp3 of himself and Sarah Cahill performing the piece (currently unavailable AFAIK) to finally the release of R. Andrew Lee’s recording on the increasingly indispensable Irritable Hedgehog label. All this posts and many more can be found by searching for November on Gann’s blog. I downloaded a lossless version of November from Irritable Hedgehog’s Bandcamp page which allows for one to do seamless playback of the nearly five hour piece. It has been played over and over again since that time. It’s meandering spare piano lines becoming increasingly varied with moments of more density, or intensity or lyricism I find endlessly captivating. I’ve listened to it straight through but also have just put on one of the “discs” as I’ve gone to bed. Some nights I hear less than others but there have been those nights where I heard the whole thing. Beautiful music, but more than that as it weathers any degree of scrutiny. Along with November this album has probably had the most spins in my abode this year. Admittedly this again due to it being amenable to being put on as I attempt to sleep but as with all albums that meet that criteria that simply means that I’ve listened to it in the dark primarily focused on it as sleep remained at bay. This one has been a long time coming as it was recording in 1973 and it initially planned to be released by Halana Magazine years ago in an edited form which of course never materialized. Various reports of concerts featuring the piece mixed live from the original master tapes certainly wetted the appetites of those of us who love her electronic work. So when this was finally announced in a double CD form with a live and studio mix by Lionel Marchetti it was beyond welcome. The piece is another masterful Arp 2500 introspection utilizing spare tones carefully drifting and a bit of tape echo and some really stunning resonant filter ringing. Both versions are fascinating with the live one somehow even more stripped down than the studio. The applause at the end always comes as a shock. Things like this often don’t (or can’t) hold up to the legend and it is doubly rewarding when they do. The release from last year was Edition RZ’s three CD Jakob Ullmann box Fremde Zeiot Addendum which oddly enough contained a piece of cardboard inside it to prevent the contents from rattling about. It turned out that 2013 brought us a fourth disc that replaces that piece of cardboard and makes this vital set even more tremendous. A piece for solo organ that is heads and shoulders above any contemporary composition I’ve heard for the instrument since Messian. There have been a number of attempts to do highly minimal music on the church organ that to my ears have really fallen flat. This instrument, which I love so much, has really proven an insurmountable challenge to apply to this domain. Until now that is. Ulmann’s piece and the masterful playing of Hans-Peter Schulz beautifully recorded by Edition RZ finally reveals this unrealized potential of the instrument. The physics of the crotale are very interesting, since like all metal instruments, its actual motion is relatively chaotic. It is not the absolutely stable and regular sound that it appears to be, but has fluctuating character, perhaps a bit like the reflected glare of any shiny object. The piece was composed at percussionist, and frequent Pisaro collaborator, Greg Stuart’s request and his performance here is nothing short of inspired. The combination of the bowed crotals and the uncompromising electronic tones is just a shear physicality. Those of us who already appreciate Sachiko or Lucier already know that sine tones of sufficient cycles beat in your ear and undermine your sense of balance as well as subtly varying and shifting as you move around and this album delivers these effects in spades. But it isn’t nearly as clinical as Lucier often comes across as though it is as precisely defined as his pieces. The crotales I think are the special sauce here and Stuarts virtuosity. At the same time I received Closed Categories in Cartesian Worlds I also received this disc. Which like the aforementioned Pisaro composition this one also involved Greg Stuart bowing metal, this time the chimes on a vibraphone. The recording is very quiet and slowly increases in volume across it’s duration. Like the crotales of the previous entry the bowed vibraphone has a very pure almost electronic sound but with a bit of warmth of instability. The music here is far less physical – the lack of high register, relentless electronics means there is only the acoustic sounds – but it is achingly beautiful. Less demanding and intense it is an excellent companion piece and probably my favorite composition yet from Antoine Beuger. 2013 has seen the fewest releases from Keith Rowe in years with this collaboration with Graham Lambkin being one of the few. This duo was put together by Jon Abbey of Erstwhile records and interestingly the two musicians independently decided to primarily utilize contact microphones and drawing supplies. Keith has been placing contact mic’s on his table and drawing with charcoal on it for some time now (I think I first witnessed this in 2008 at the Amplify fest in Kid Ailack Hall) and the whispery scratches have become a feature of his sound world. With Lambkin utilizing similar technique as well as the brittle, mid-range nature of contact mics this is truly an album of layers. Another layer is that the second track, the titular Making A, is a Scratch era composition by Cornelius Cardew erstwhile Rowe comrade. I can’t say that much of Lambkin’s work has appealed to me and I was a bit skeptical by this collaboration (though always curious). But once again Abbey’s ear for duo’s has born fruit and this really is a remarkable recording, one that I’ve returned to again and again throughout the year. It’s sort of surprising how much Cage is still unavailable especially from his electronic period. Only in the last couple of years was Variations VII made available and it took until this year for Variations V to be available outside of special order from the Merce Cunningham Dance Company. A truly collaborative piece, it involved sound sources monitored by Cage, Tudor and Mumma trigged by the MCDC. The piece is the dance, is the live electronics is the composition. It of course inherently indeterminacy due to the live electronics, thee variability in the spaces performed and in the dancers not to mention the fragility of the electronics. This excellent DVD from Mode presents a German Television shows broadcast of an in studio performance those allow us to experience this truly multimedia piece with the dance and video by Nam June Paik and Stan VanDerBekk as well as (occasionally) see the musicians working their electronics. It also includes an audio only recording from a live performance earlier in the tour which I think helps to understand this continually variable piece. Two interviews with dancers Carolyn Brown and Sandra Neel with Gus Baker provide some context, add details and more than a few amusing anecdotes. I am in agreement with many that Toshiya Tsunoda is one of very (very) few field recordists doing vital work but even he has as many duds as successes. It seems to be his more conceptual pieces that turn out to be more interesting in concept than in execution so I was naturally skeptical about this recording he made along with Haco of a moving tram (I also was confusing Haco with a vocalist and I couldn’t imagine how that would work). However I was willing to watch this video, The Tram Vibration Project, to get a sense of how this turned out. I pretty much immediately ordered this disc after watching it. Of all the releases I heard from 2013 this one seems the most sound focused. It is about finding the sounds of this tram as it moves along. It’s structured by the trams passage and the choices of where to place one’s microphones (and apparently massive editing by Tsunoda). And what a rich world of crackles, hums, shakes, rumblings and other indescribable and downright fascinating sounds are revealed here. Watch the video, it is much better than anything I (or anyone) could write on this one. John Tilbury’s magnificent touch on the piano and his effortless shifting from the abstractions of the body and insides of the piano, to pure romantic lyricism are fully present and are indeed the core of this album. Oren Ambarchi though gives this music it’s spine with a deft touch and breathtaking subtlety. One can’t help but think of Tilbury’s collaborations with Keith Rowe but the only similarity here is perhaps those moments before Keith has really begun to play and the buzzing and hums of his setup provide a tapestry upon which the piano rests. Ambarchi barely adds more than that grounding but mines that background radiation for all that it’s worth. The few times he surfaces are in delicate counterpoint to Tilbury’s playing and it almost comes across as the piano resonating into alien space. This alas was a vinyl only release but happily the kind folks at Beatport have made it available for lossless download which you can find here: The Just Reproach. 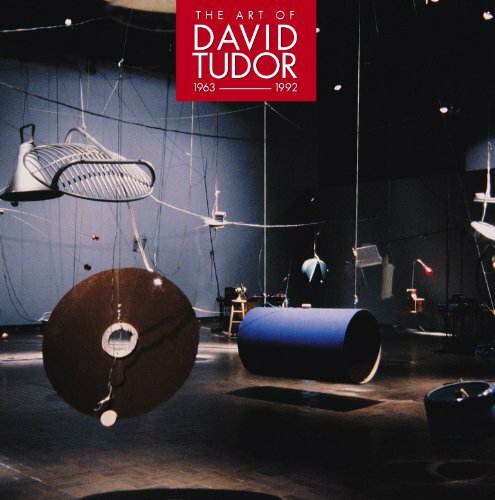 The Art of David Tudor is a new 7 CD boxed set released from the ever great New World Records. The most exciting release IMO since their epic Music for Merce. Of course while there was much music of interest to me on Music for Merce it was the David Tudor pieces, especially the unreleased material, that was particularly of interest. In my series of posts covering that box set I time and time again bemoaned that the bulk of the Tudor pieces were only excerpts and more than once mentioned that there should be a boxed set of his pieces. Miraculously New World has provided. This set can now be ordered, though I’m not sure if it’s in anybodies hands yet. It will apparently be available for download on at least iTunes though the link is not currently active. However the liner notes for the set are currently available (major props to New World for putting these online – makes quotes and such from them a lot easier) and I’ve given it a looksee. So before I have this set in hand let us consider what we are going to be getting. Quite a few of these pieces have been previously released either in whole or in excerpt. But these pieces were performed live and often performed with the Merce Cunnigham Dance Company or in concerts and due to the nature of live electronics can be quite variable. So in the cases where there are new performances or different versions it is certainly a cause for celebration. The full versions of the pieces released only in excerpts are of course especially welcome. Let us now consider each of these pieces in brief. Variations II can be heard on the David Tudor Edition RZ set plus a different version on vol. 1 of the John Cage Shock set from EM Records, Edition Omega Point. This version is from the ONCE Festival and is I believe a third recording of the piece. I’m all for more versions of this piece as they all vary due to the nature of working with feedback. For 1, 2, or 3 People is currently available on Edition RZ’s Christian Wolff set as well as an excerpt on the Music for Merce set. These two versions are the same IIRC and this one is listed as also from tour with the Merce Cunningham Dance company. So could be the same one or a different performance. Bandoneon ! (A Combine) This has been released in excerpt on the DVD documentary series on the E.A.T. 9 Evenings series. This is not listed here as an excerpt but at just over 14 minutes it almost certainly is. In my review of the DVD I note that the length of the performance is not known, but I do go into the available data. This is a longer excerpt than found on the DVD by about 5 minutes which is welcome, but one still awaits the full piece. Anima Pepsi was released on the album Live Electronic Music (Electronic Music Foundation) and this appears to be the same version (both are 23’37” which is a pretty good clue). Pepsibird & Pepscillator These two pieces were along with Anima Pepsi were recorded at Recorded in the Pepsi Pavilion at Expo ’70 in Osaka, Japan but only Anima Pepsi has been released. So these are two new tracks that presumably will be in a similar vein of Anima Pepsi. Mesostics re Merce Cunningham/Untitled Untitled, a definitive Tudor composition, has been released in a couple of forms but was originally performed with John Cage’s vocal performance of Mesostics re Merce Cunningham. As far as I know this version has not been released (a version with Takehisa Kosugi on vocals is on the album Three Works For Live Electronics released by Lovely Music). Weatherings This was released in excerpt on the Music for Merce set and assuming this is an entire performance, this would be the first complete recording of this piece. Phonemes This was released in excerpt on the Music for Merce set and a complete version can be found on Three Works For Live Electronics released by Lovely Music. However this is a full live performance of the piece, whereas the Three Works For Live Electronics version is a layered version of many recordings. So this will be a full, live, single version which is a welcome addition to the recordings of this piece. Rainforest IV There are two versions of Rainforest IV on this set both credited to Composers Inside Electronics during the period when Tudor was performing with them (they are still a going concern). As Rainforest IV is a sculpture based piece that was constructed anew on numerous occasions and thus was often different this is certainly justified. However the Rainforest pieces are of course Tudor’s most well know and most well documented. Mode has a disc with Rainforest IV (as well as Rainforest I) on it and there was an German instance of the installation in 1980 which has been released on an LP by Edition Block and on CD by Lovely. One of the versions of on this set is this German installation the other from a Stockholm version. While most likely the German versions are all from the same source it could be a different excerpt or even a different recording. The Stockholm one appears to be a new release. Webwork – This was presented in excerpt form on Music for Merce so a complete performance is of course highly anticipated. This has only otherwise been released as a 7? excerpt on the John Cage tribute CD A Chance Operation. Virtual Focus This very interesting piece excerpted on Music for Merce so a complete performance is definitely a huge plus here. There has otherwise been unreleased barring a 3? of excerpt on Musicworks 73. Basically the pieces from Expo ’70 are the most novel of the set but the complete performances of the later live electronics pieces are of course the big draw. There is still quite a bit from David Tudor’s oeuvre that is still unavailable. His first piece, Fluorescent Sound is of course the first one that springs to mind (though perhaps no recording exists) but just scan through his list of compositions on DavidTudor.org and you can see that many are not represented here or anywhere. One hopes that of those that recordings exist that some day these will come out in some form. With all the variation and iteration in his live performances one hopes that in the future these will all be available for download. This is I think the direction that any music that is so varied in performance needs to. It is a shame that these recordings just languish in vaults. Still I can’t wait to get this set and and it is a vital edition to the David Tudor legacy. I commend New World for putting it out and will write more here once I’ve had a chance to absorb it. John Cage was born September 5th, 1912 and thus would have been 100 years old this week. There really has been no more influential twentieth century composer and his influence has loomed ever larger since his death. His influence on my music making in the last few years is undeniable and even more-so if you consider the second (and third and …) generations of influence. This year I ended up being away for quite some time on a cross-country bicycle tour which I set out on not long after I composed the tribute piece in the previous post. Alas I have yet to find an opportunity to construct that score and perform it but I hope to before the end of the year. In the meanwhile I’d like present for the first time a few other pieces that I’ve made in tribute to John Cage. In 2010 I embarked on a musical project where I released a musical object for eleven months of the year. This project, the Eleven Clouds, project was a many layered project with each release have multiple facets to it. One of this facets was that each piece was dedicated to an artist that had been a major influence on me. The April entry in this series, Mid-Spring (rock, breath, 12kHz) was dedicated to John Cage. Another aspect of the project was that there was a task that one had to undertake to receive a copy of said release which were made in extremely limited physical releases. The task for this release involved decoding the instructions and then following them. For the first time since this release I present both the decoded text for this release as well as lossless versions of the music. mgmt AT hollowearthearthrecordings DOT com. Along with the 11 releases in the project there is also a corresponding document that describes the theory, the methods and the many layers behind each release. For various reasons this document has yet to be made public (though parts of it were used in an interview with Joe Milazzo on Drunken Boat). Below I’ve pasted in the entry in this document for Mid-Spring (rock, breath, 12kHz), the first unedited bit of this document to be published. Note that this document was a work in progress and there hasn’t really been any editing on this entry nor is it as complete as I intended. It does cover the basics behind it, its place in the 11 releases, the tributary aspects and the reception of the piece and the success of the challenge that was required to get a free copy of this release. Released April 2010 as a 3” CD-R in an unlimited series though only four were ever made. While aolian electrics [Ed. : The previous months release] strayed from the pure notion of utilizing the network instrument, it was still a vital part of the release. This one on the other hand, completely strayed from the preceding releases. The piece was a direct homage to John Cage utilizing the I-Ching to generate a Musical Pattern9 from which pre-existing recordings were used to assemble the piece. 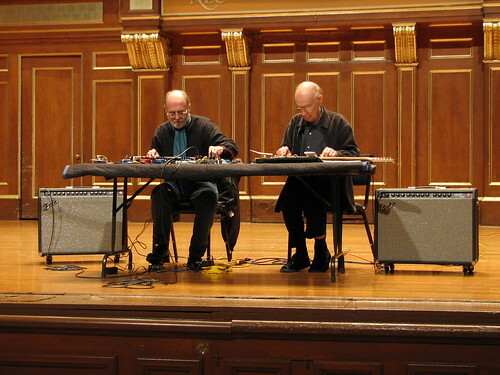 These recordings were of playing a recorder in an extended fashion focusing on the movement of air through restricted passages and playing with rocks in the manner of Christian Wolff’s Stones. A 12kHz sine wave accompanied these sounds which were sparsely spread out over the pieces length. The method of acquiring this piece was the most difficult to date and no-one rose to the challenge. This showed the limits of how much effort people would expend quite clearly (though this would be shown even more clearly in subsequent releases). The release was to be freely sent out to anyone who successfully decrypted the press release. The cipher utilized was a trivial book code using John Cages Silence which was indicated in the plaintext ‘Silencio 17’ at the end of the message. Some outcry or at least comments regarding some sort of befuddlement was expected but there was nothing. Two copies of the release were sent along to people with other releases (how I would typically get rid of extra copies I had made of earlier releases). This piece as well as a bunch of supplementary material is now available on the Mid-Spring (rock, breath, 12kHz) page in both Apple Lossless and FLAC formats. The supplementary material includes cover art, score, performance score, the encoded and cleartext PR, the encoding scheme and some additional images.